General Electric is not Sears. Larry Culp's investment in General Electric (GE - Get Report) is very interesting. Culp bought 225,000 shares valued at about $2.2 million. It's hard to forget that former CEO Jeff Immelt paid $28 for 100,000 shares back in May of 2017 in an attempt to slow down a wave of negativity that appears to have never stopped. That said, Lary Culp is not Jeff Immelt. Not even close. Now, this week analysts throw around the idea of a previously unexpected higher tax burden for the firm in both the U.S. and UK. Last week, Moody's downgraded the firm's credit rating by two notches. Then came Monday, when high-profile analyst John Inch of Gordon Haskett threw around the idea of a $5 GE, despite his own $10 price target. What do I think? I think we know Larry Culp's track record. I think we know that he would not have taken this job if he thought this was a lost cause. I also think that there will be a place and time to invest in GE. This is not Sears (SHLDQ . The dividend is no longer a reason to invest in this name. This idea is really just a risk-averse way to bet on Larry Culp, as it has become apparent that perhaps not one other person is both capable, and /or willing to save this firm. Psst. I am going to set this trade in motion myself, several hours after this article is public. We do not need to get in at the very bottom. Something tells me that we will get a few at bats before they call it a ballgame. The firm will go to the tape with quarterly earnings again in January and April. We'll go out to June in order to give Culp two more swings at quarterly results that he can truly call his own. The trader will receive an aggregate credit of $2.24, or $224. In exchange for this payment, the trader is at risk for eight months. If the shares never go lower, that's a nice dinner for the trader and a pal. Worst case? 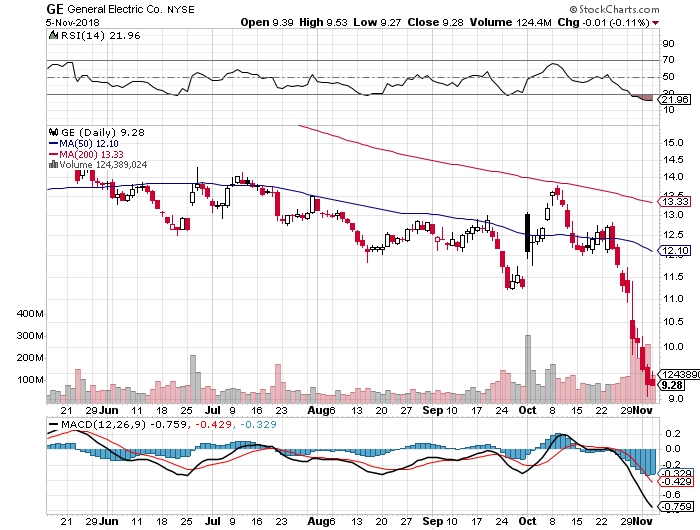 The shares go considerably lower from here, and this trader ends up long 300 shares at an average net basis of $7.25. How's the risk/reward proposition look from there? Not too bad, in the opinion of one Stephen J. Guilfoyle. I'll see you out on the field.